Sephora has a great new deluxe free sample! 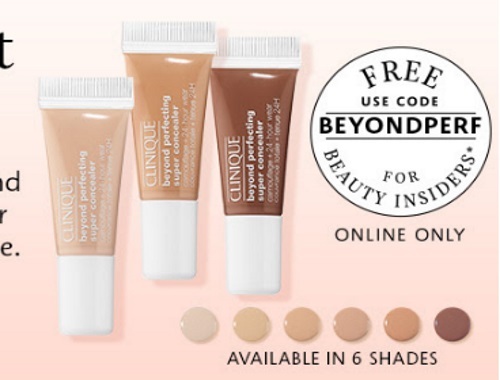 Get a Free Deluxe sample of Clinique's new Beyond Perfecting Super Concealer with any $25 online order. Enter the promo code BEYONDPERF at checkout. Offer is valid for a limited time for Beauty Insiders only.